Lenovo as a brand are still probably best known for their laptops rather than their tablets. That said, now could be the time to make their mark with their seven inch screen IdeaTab S5000, which clearly has its eyes on the likes of the Google Nexus 7 as it only costs £220 here in Great Britain. The Lenovo S5000 is a very attractive tablet, which fits perfectly into one hand. You could easily argue that it does feel a tad cheap due to it being constructed fully from plastic, but I personally have no problems with this as it results in it being so light – it only weighs 244g. In terms of its overall size, I think Lenovo has done a great job, with it measuring in at 190.5 x 116.8 x 7.6 mm. When I took the S5000 out of its box, I noticed that the front looks somewhat reminiscent of a phablet. You’re probably thinking why – well, I’ll tell you! It’s because Lenovo has decided to place the loudspeaker (which I originally thought was a speakerphone) above the 7- inch display, which seems to be something unusual for a tablet. That said, though, I quite like it being on the front. Looking around the sides, you get nothing on left, with the right housing the power/lock button and volume rocker. At the top, you’ll find a 3.5mm headphone jack, with a micro-USB port placed at the bottom. In terms of how I found the buttons, they were very responsive when testing the S5000. 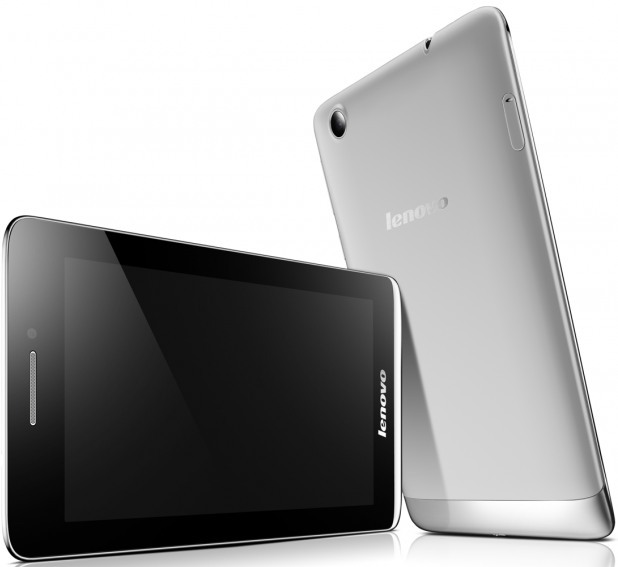 The Lenovo S5000 sports a 7- inch panel with a 1280×800 resolution. When testing, I found the overall quality to be pretty good, although whites did look a little grey at some points. And I do think that at this price, you can actually get a lot better, using the new Nexus 7 as a great example. The Lenovo S5000 comes pre-loaded with Android 4.2 Jelly Bean, offering up access to Google’s latest services and apps, including the Google Play Store. Lenovo has gone and customised the whole OS with its very own user interface, which quite frankly, looks terrible. One of the main features of Android is its app drawer, which Lenovo has removed altogether. Instead, just like Huawei’s EmotionUI, you’ll have to store your apps on the tablet’s homescreen. Don’t go expecting for the world’s fastest tablet with the S5000, because you won’t get it. However, its MediaTek Cortex-A7 processor is certainly capable of making sure that everything runs smoothly, backed up with 1GB of RAM and 16GB of internal memory – which should be ample for most people. As for the battery life, you won’t be disappointed. I used the tablet mainly for browsing the web and watching YouTube videos, and managed to get it to last most of the day after an overnight charge. Like I end up saying in most of my tablet reviews, tablets aren’t really meant to be used as cameras. But in saying that, the Lenovo S5000 is capable of producing relatively impressive snapshots with its 5- megapixel rear-facing sensor. The photos that I did take, looked very impressive with excellent levels of detail (for a tablet camera). The camera seems to have a great balance between whites and blacks, but a flash would’ve have made photos taken during the night a lot better. Lenovo certainly has done a great job with the S5000, with it certainly capable of turning heads thanks to its gorgeous design. But realistically, I am not entirely sure how it can compete with the Nexus 7 or Kindle Fire.